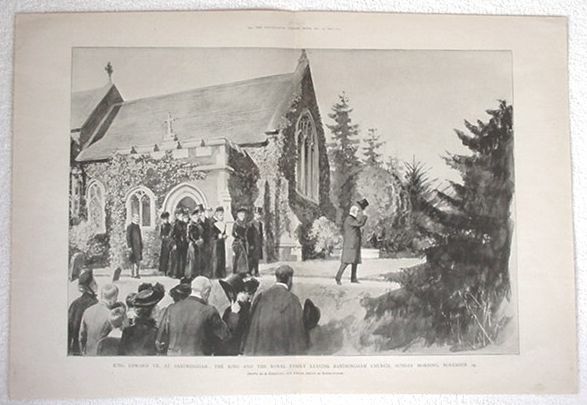 King Edward VII at Sandringham: The King and The Royal Family Leaving Sandringham Church, Sunday Morning, November 24. Drawn by A. Forestier. Approx 23" x 15 3/4". This double-page print has 2 sets of staple holes in the center crease.